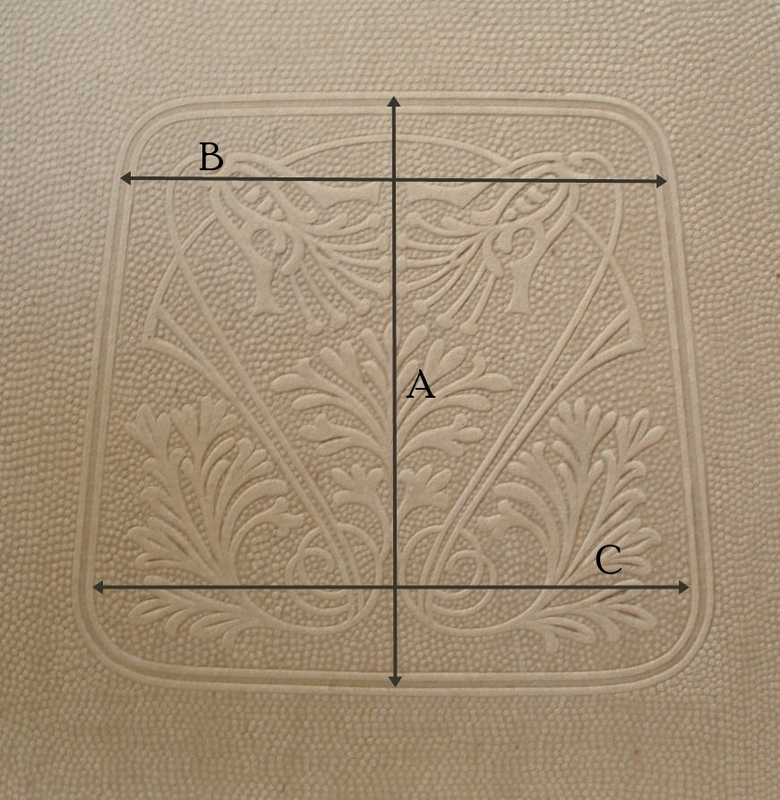 This fiber seat board has an embossed Nouveau Floral design . The pattern is flat & not molded to fit down into the chair seat, it will simply rest on top & can be used on any seat. PLEASE NOTE: These seat boards have small dark spots. They are the result of the bonding material in the fiberboard being drawn out when heat pressing the embossed design. Staining or painting the seat board covers the spots. If you do not stain your seats, or if you use a light colored stain, the spots will be visible. We DO NOT offer refunds because of this defect! Front to back (A): 9 7/8"
Left to right at back of pattern (B): 9"
Left to right at front of pattern (C): 10 1/2"